In the Ancient World, dawn was represented as a goddess lifting the curtain of day light to open the way to Apollo, god of the sun, and his magnificent chariot. Preceded by Dawn, Apollo would give light to the world, riding his chariot across the sky from morning to evening. Roaming around Rome early in the morning, we begin to understand the vision developed in the ancient myth, which great masters so often depicted. As the sun rises from site to site, it feels like a magic curtain is being lifted over the eternal city. 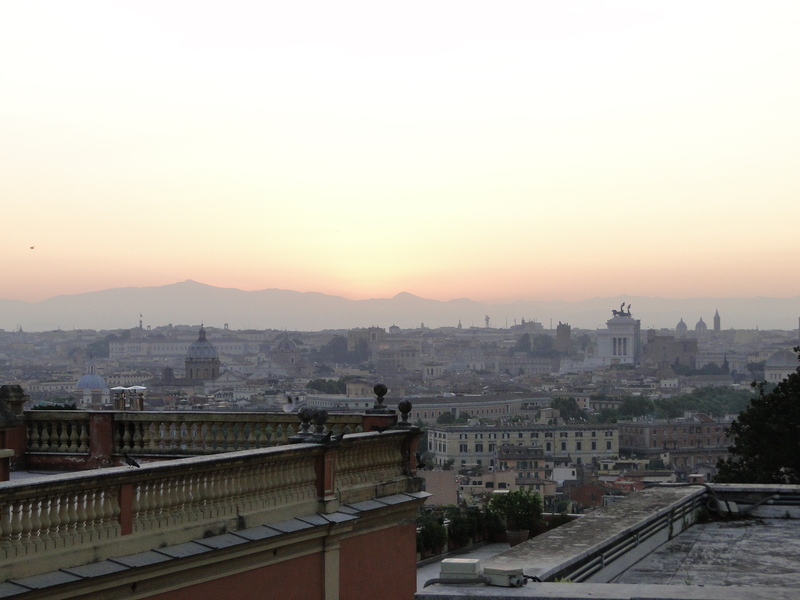 Dawn is one of the best time to fully appreciate the beauty of Rome, particularly in the middle of summer. At 5am just before sunrise, the city is revealing itself in a different light (so to speak). 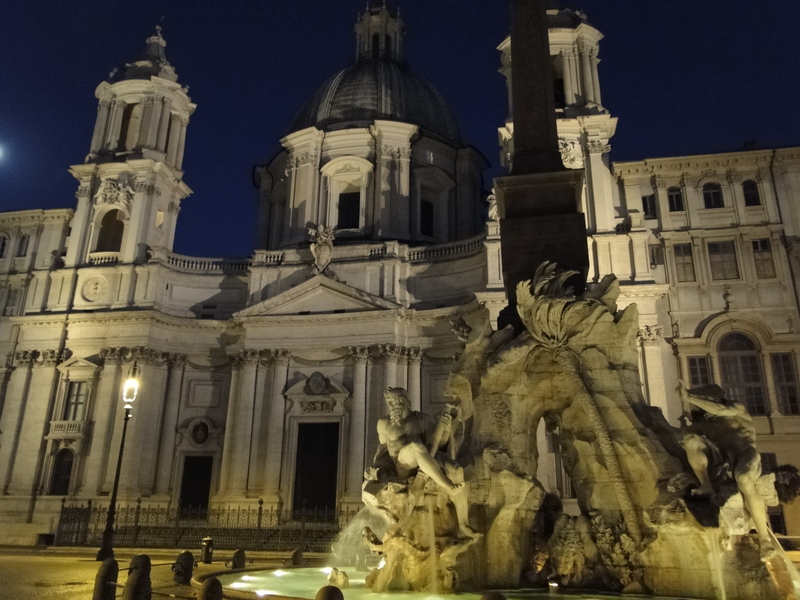 The Pantheon seems even more imposing in the dim light, Piazza Navona is truly stunning when empty, and the Trevi Fountain can be seen in full glory. 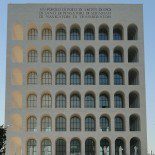 From the historic centre, I ride around the Imperial Forum, the Colosseum and the Palatine, to reach the Giardino degli Aranci on the Aventine hill for a morning view of St Peter’s cupola. I continue across Trastevere to the Fontana Paolina on the Janiculum hill to watch the sun appear from behind the Abbruzzi mountains. Dawn’s curtain is now fully lifted, and Apollo is bringing light to Rome and to the world. It is time for the first coffee of the day, but the hardest part is to find a café open so early in the morning for Rome. This entry was posted on August 6, 2011 by Salambo in Ancient Rome, Baroque Rome, Daily life in Rome, English, Rome's neighbourhoods and tagged dawn, rome with a view, sights of rome.